For our wedding, we wanted something simple and inexpensive. The bouquets from the bridal party doubled as decorations for our head table – we had vases on the table already that the girls placed their flowers in when the reception started. The wedding had a Scottish theme and therefore the men in the wedding party were wearing kilts. To go along with this, the bridal bouquet had sprigs of heather worked into it – the boutonnière also had some heather as well as thistles in it. We were very impressed with the quality of our flowers and they were a perfect fit into our wedding day. Flowerland’s prices were the best we could find and we thank them so much for working with us to make everything perfect. We highly recommend them to anyone and everyone! From the moment we met Kathy we knew she was the one and only person we wanted to “floralize” our wedding! Her infectious personality, knowledge of flowers and creative flair made the process of choosing flowers so easy! She was extremely easy to work with, answered ALL of our questions and provided guidance where needed. The quality of her flowers supersedes anything I have seen. Kathy saw our vision and what she created for our entire wedding party far exceeded our expectations. Thank you for making a beautiful sympathy basket for my aunt. She was very pleased with my gift and found the flowers and the way how you’ve created the flowers into the basket really beautiful. You’re also deliver on the time as requested. That’s why I was glad to hear my family say that Flowerland Florist did a great job. My family described the arrangement as the exact flower arrangement of my choice. They also told me i had made a very good choice for Flowerland Florist to choose. These facts are important in taking a decision for us as customers. I just wanted to take a second and thank you for our gorgeous wedding flowers and the gift you sent. They were absolutely breath taking. We had so many wonderful compliments on them. I was just in awe. The flowers were exactly what we were looking for and topped the decor off perfectly. I can’t fully express my gratitude for your professionalism and just how fun it was working with you. You made our day so very special. A million thank you’s isn’t enough. Thank you! I ordered flowers in the middle of a Friday afternoon for delivery by end of business day the same day and not only did they get there in time they were absolutely stunning! Flowerland never disappoints! Proprietor Kathy and her team’s years of floral experience assisted in helping me achieve amazing results with my wedding needs. Kathy, Tami and Darlene were extremely accommodating with the short notice and budget. They went above and beyond to make my experience fun and exciting. This is the only place I shop for fresh and artificial flower arrangements or when looking for a unique gift. Sharjeel and I are very great full to have had Flowerland bestow us with their essence. It was a beautiful moment for us and we were glad that we shared it with such wonderful people. Our wedding day was magical and Flowerland certainly helped in creating that magic. Their exquisite array of elegance included all of the floral work from the bouquets, to the wrist and head floral pieces. The church was meticulously decorated with their lovely art work of flowers. It was all breathtaking and we cherished every moment of it. Thank you Flowerland your exceptional effort and fine job. Thank you so much for arranging all the flowers for our wedding! From the bouquets to the corsages to the boutonnières to the arrangements at the church…everything was simply stunning! As many brides do, I had envisioned a certain look for my wedding. I shared this with you, and you brought it to life with the most beautiful arrangements I could have ever imagined! Even the tiny details of adding the skeleton leaves to my bouquet were seen to, which made it that much more special. Everything was delivered on schedule and carefully handled, which, of course, we really appreciated. And it was such a pleasure to work with you – our meeting didn’t seem like work, since it was so much fun! Thanks again, Kathy, for all your hard work and for making our special day a truly gorgeous one! Daren and I were very happy with your company’s service and products. Customer service was excellent. You created exactly what look we were going for and your input helped us form a vision. The sample pictures you provided was going the extra mile for sure. The flowers were ready on time for pick up and everything was packaged so beautifully and clearly labeled. Your prices were very reasonable and we would 100% recommend you for flower services, wedding or otherwise. Customers can feel confident that you will provide a professional service and quality product. Thank you for making the flower part of our day run so smoothly and look so great! Thank you again, we could not have been happier with your services. Just wanted to let you know that I saw the floral arrangement that was made by your company……it looked AWESOME!!!! Thanks again for your assistance. Will certainly drop in to say “Hi” when I’m in the area and will recommend your company as needed. It was a pleasure chatting and thanks again. I just want to say THANK YOU from the both of us and our families! The arrangements were stunning, the corsages were beautiful, the boutonnières were classy and our bouquets were amazing! The deliveries were exactly on time and the flowers were so fresh! We are so happy with your amazing service and artistic flower arrangements! 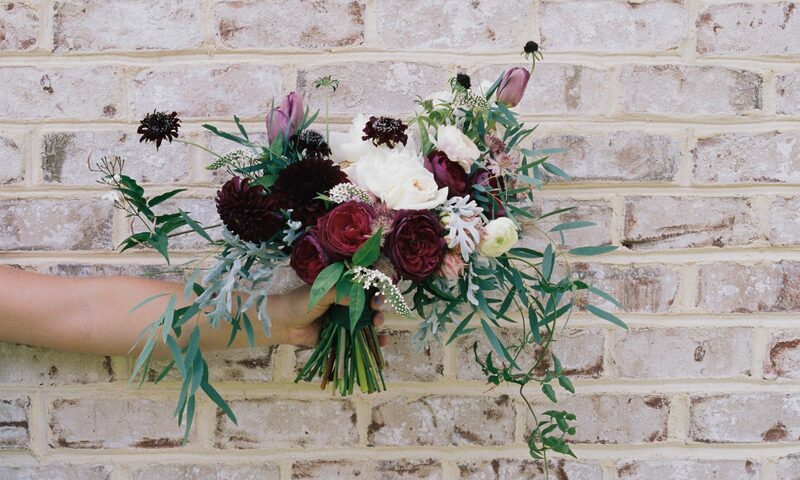 We will be recommending you to anyone in need of a florist! I just wanted to thank you for the amazing job you did with my flowers!!! They bouquets were absolutely gorgeous and the boutonnières were beautiful, it could not have been more perfect. We have been getting so many compliments from guests and anyone who has seen our pictures. I’ve shared one with you to see and if you’d like to use it for anything you are more than welcome to do so. I will most definitely be referring anyone looking for flowers in the Brampton area to Flowerland! I would like to thank you for your service and all your help yesterday, sorry for the late reply. You’ve been so helpful with making the calls and getting the flowers for the family. It was a pleasure choosing Flowerland Florist, we look forward to placing the order with you again. I just wanted to say thank you so much for creating such a beautiful arrangement in such a short amount of time today! I called around 10:30 this morning for a Rainbow Sympathy Basket that would need to be delivered for noon. Not only did the arrangement arrive on time, but it was stunning! It received many compliments and had people asking where it came from. I recommended you to a number of people today. Again, I just wanted to say thank you!! Hi Kathy, I just want to thank you for the beautiful arrangements you did for us. My sister, niece and I were very pleased with your finished product and we would definitely recommend your services. Your arrangements were over and above our expectations.